I was setting up my tree this year and noticed that it was lacking ornaments that reflected the true meaning of Christmas. 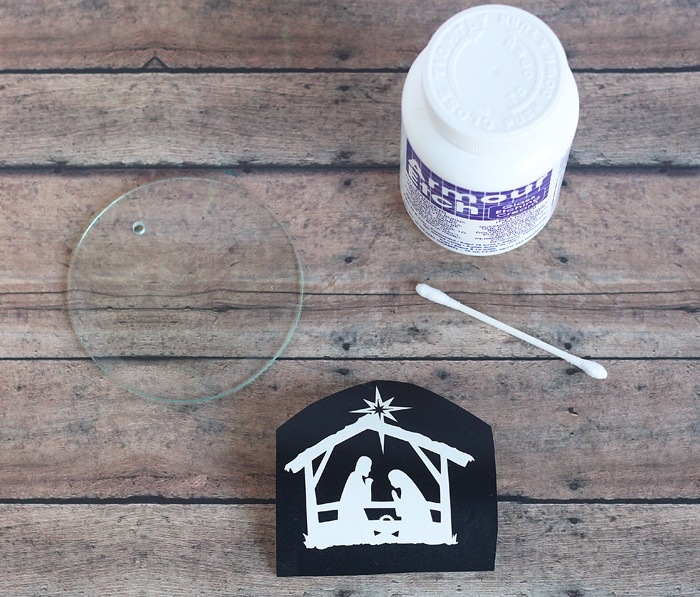 I love nativities, so I whipped up the pretty glass etched DIY nativity ornament to put on the tree. 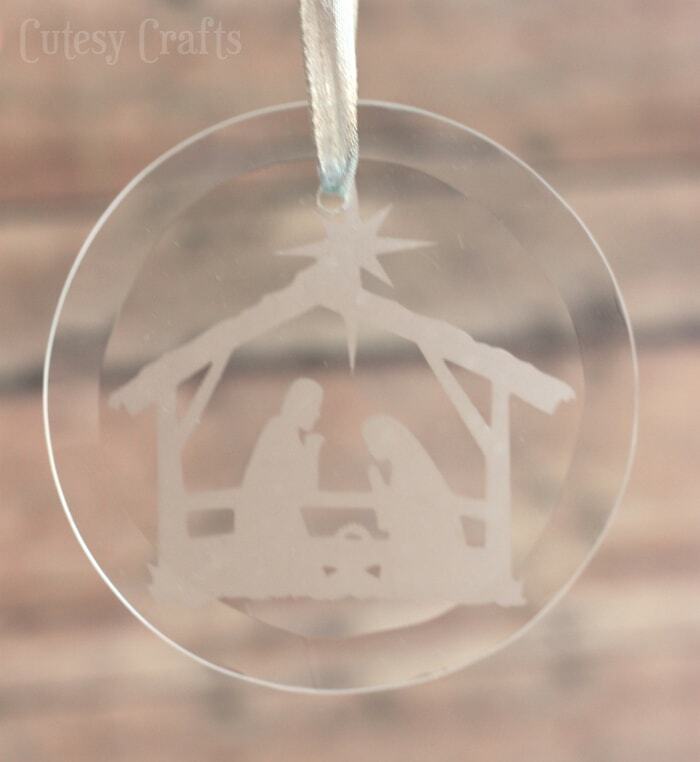 I love the elegance of etched glass, and it looks perfect with the nativity silhouette. This would make a lovely gift or favor for a church Christmas dinner. 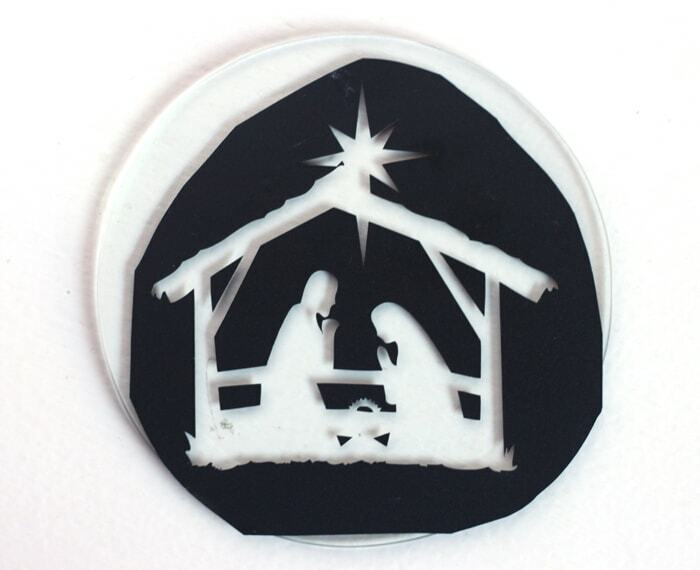 I cut the stencil out of vinyl on my SIlhouette Cameo. The shape is just one from their online store. 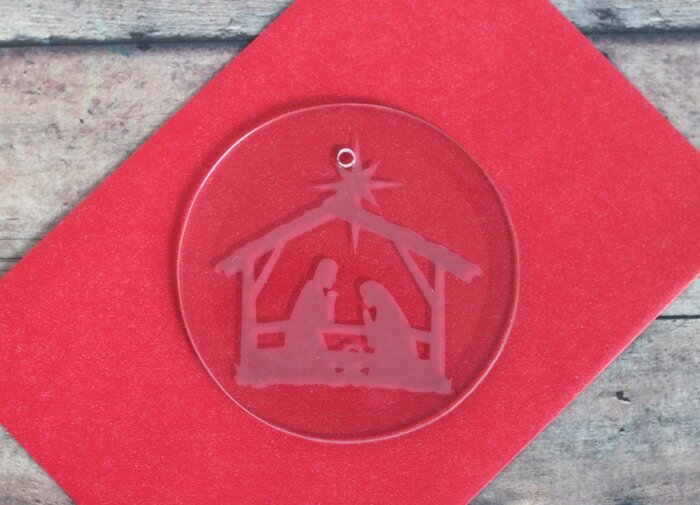 Use transfer tape or contact paper to transfer the stencil onto the ornament. Make sure all edges of the design are sealed so nothing seeps under. 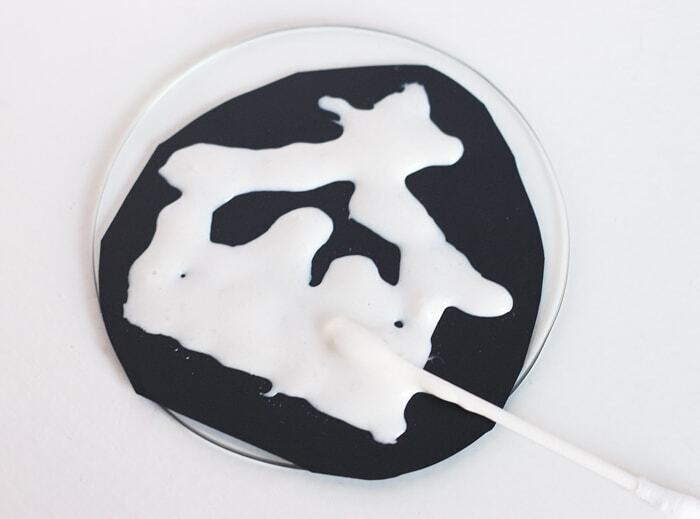 Use a cotton swab to put a thick layer of etching cream on fop of the design. Make sure it doesn’t get on other parts of the ornament, and be very careful to not touch it. I recommend wearing gloves if you have them. 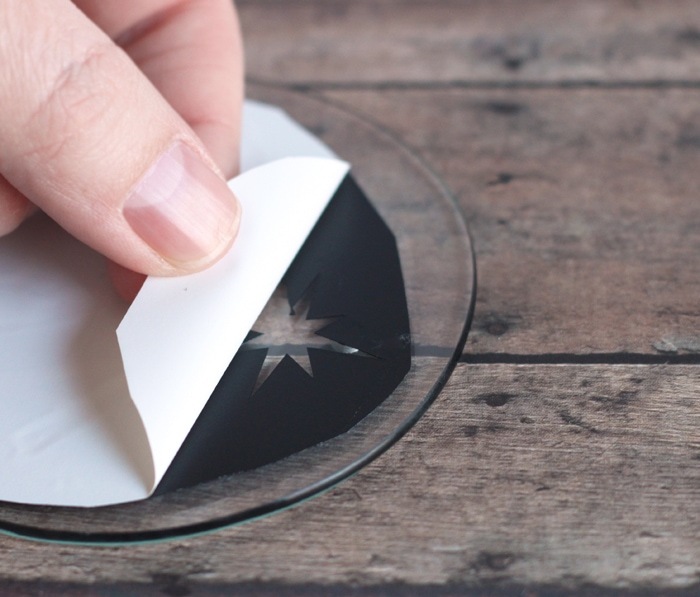 Thoroughly wash the etching cream off and peel off the vinyl. 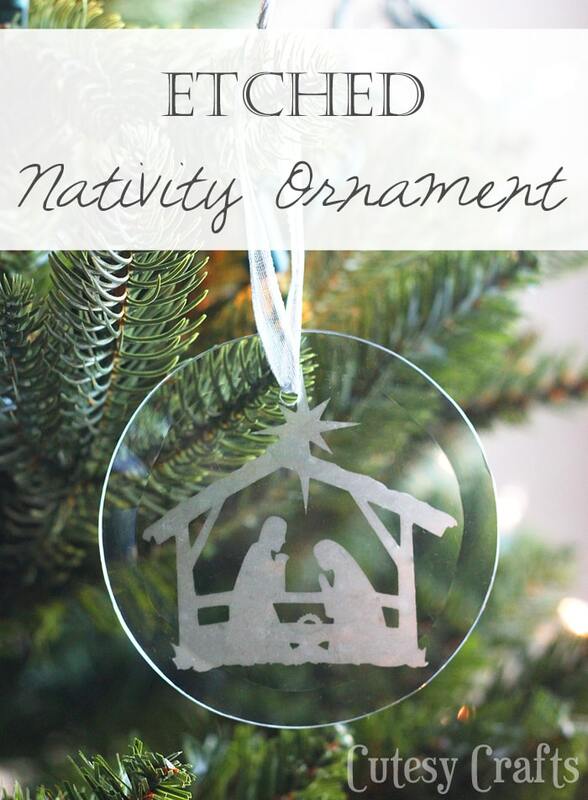 This etched DIY nativity ornament is so pretty! 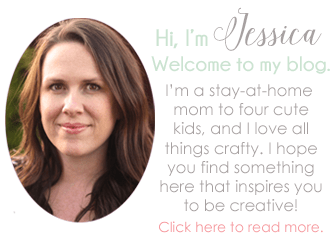 I love DIY Christmas ornaments, click here to see all of the ones I have made! Thanks! You should totally try etching cream. I love it! I love how this turned out!! It’s beautiful! I tried etching on the round ornaments, and I wouldn’t recommend it! Great idea! Thanks! Yes, I love these flat, beveled glass ones! Much easier. Great results with the etching. Such lovely ornaments. This is absolutely amazing!!!! Love love love it!